The purpose of this paper is to perform the analysis of literature review regarding the design of open architecture products (OAP) and their potential benefits within the circular economy (CE) model. The analysis involved studying more than 80 research articles during the last two decades in engineering journals. The articles were gathered through a bibliometric analysis using the most relevant keywords concerning product design, sustainability, OAP, and CE. Main trends, challenges and future scopes of research opportunities and development were identified. The study provides a framework to designers and researchers involved in the design of OAP to enhance their sustainability performance for a CE model, which integrates lifecycle considerations (reuse, remanufacturing, repair, and recycle), resource optimization, and emissions reduction. 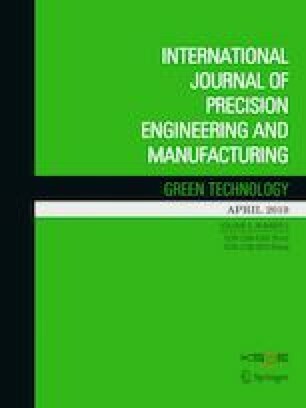 The findings include the need for design methods focused on the design of OAP to guarantee an effective circularity of resources during the whole lifecycle of products and the need of integrating manufacturing processes and material analysis to design products capable of adapting to the CE model. This work was supported by COLCIENCIAS through the Ph.D. National Scholarship Program No 617-2. Contract UN-OJ-2014-24072. On behalf of all authors, the corresponding author states that there is not conflict of interest.